Jupiter's moon Europa is definitely an odd place. Discovered in 1610 by Galileo Galilei, it was first seen in detail only in the late 1970s, after spacecraft visited the jovian system. 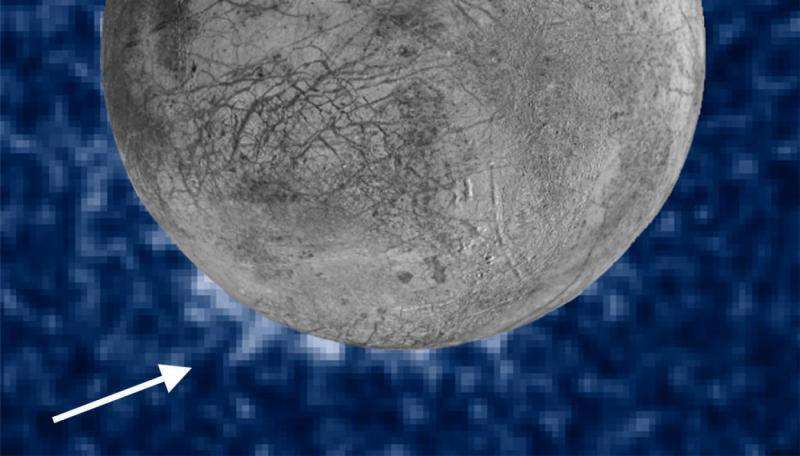 Slightly smaller than our own moon, Europa could hardly appear more different. Both have interiors of rock and metal. But Europa is wrapped in a global saltwater ocean and covered by a bright shell of ice. The shell is scarred with cracks and faults and mottled places where the ice has been breached by liquid from below. Scientists have speculated for decades what lies within that ocean. It is larger in volume than all the oceans of Earth put together. 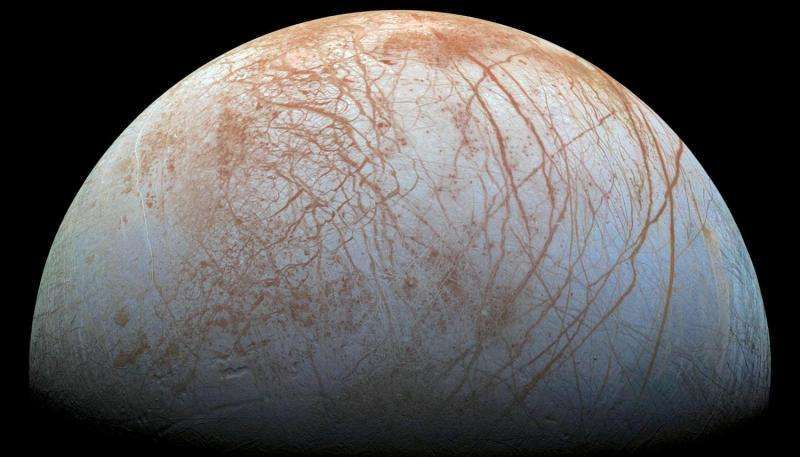 A NASA-funded seismometer under development at Arizona State University holds the promise of landing on Europa's ice shell—and listening to it. The seismometer would use Europa's natural tides and other movements to discover the shell's thickness, see whether it holds pockets of water—subsurface lakes—within the ice, and determine how easily, and how often, ocean water could rise and spill out on the surface. "We want to hear what Europa has to tell us," said Hongyu Yu, of ASU's School of Earth and Space Exploration. 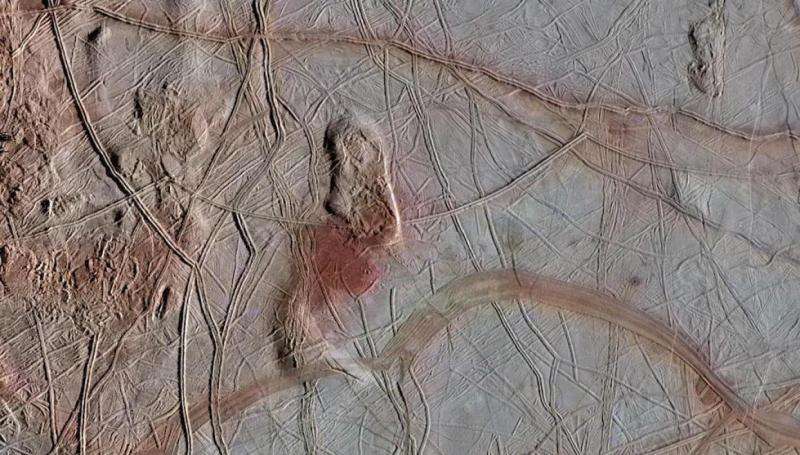 "And that means putting a sensitive 'ear' on Europa's surface." Exploration systems engineer Yu heads up a team of ASU scientists that includes seismologist Edward Garnero, geophysicist Alyssa Rhoden, and chemical engineer Lenore Dai, director of the School for Engineering of Matter, Transport and Energy in the Ira A. Fulton Schools of Engineering. While there are no current plans to send a lander to Europa, the team has received a grant from NASA to develop and test a miniature seismometer no larger than about 4 inches (10 centimeters) on a side, which could be crucial in advancing future Europa exploration. Fittingly, considering where it is being created, the project is titled Seismometers for Exploring the Subsurface of Europa, or SESE. Most seismometers, whether for use on Earth or other planets, rely on a mass-and-spring sensor concept to detect passing earthquake waves. But that type of seismometer, says Yu, has to be set down in an upright position, it must be put in place carefully with no major jolts or shaking, and the chamber where the sensor operates needs a complete vacuum to ensure accurate measurements. "Our design avoids all these problems," Yu explains. The SESE seismometer uses a micro-electromechanical system with a liquid electrolyte as the sensor. "This design has a high sensitivity to a wide range of vibrations, and it can operate at any angle to the surface. "And if necessary," he adds, "they can hit the ground hard on landing." Yu notes that the team tested the prototype by hitting it with a sledgehammer. It survived. Besides being extremely rugged, the SESE seismometer promises to push ahead the state of the art in sensors as well. "We're excited at the opportunity to develop electrolytes and polymers beyond their traditional temperature limits," says team member Dai. "This project also exemplifies collaboration across disciplines." The ability to withstand a hard landing is a great help, says team member Garnero. "Seismometers need to connect with the solid ground to operate most effectively." 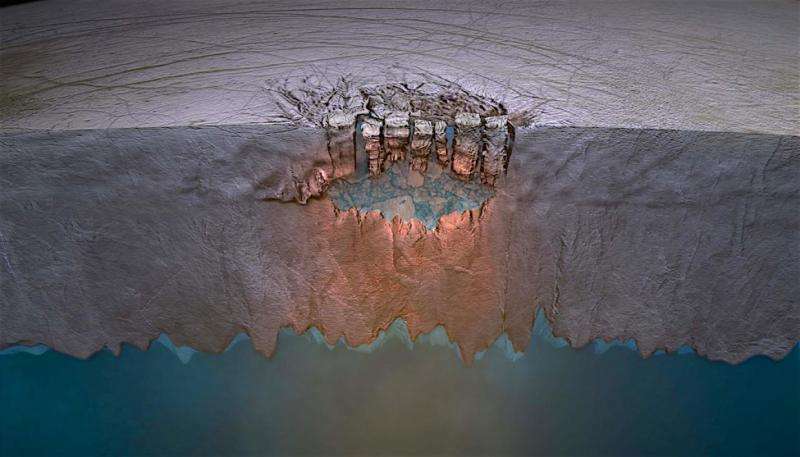 Sitting on loose surface materials can isolate the instrument from seismic waves passing through the body of the moon or planet—or, on Europa, its ice shell. Landers, which would carry seismometers, "typically have four or six legs," Garnero said. "If each leg carries a seismometer, these could be pushed into the surface on landing, making good contact with the ground." In addition, he said, having a number of sensors on a lander gives scientists the opportunity to combine the data recorded at each. This lets them overcome the variable seismic vibrations recorded by each instrument, and it allows scientists to tell what direction quake waves come from. "We can also sort out high frequency signals from longer wavelength ones," Garnero explained. The wider the spectrum the instrument can sense, the more phenomena it will detect. "For example, small meteorites hitting the surface not too far away would produce high frequency waves, and tides of gravitational tugs from Jupiter and Europa's neighbor moons would make long, slow waves." So what would Europa sound like? Garnero laughed. "I think we'll hear things that we won't know what they are." But, he said, "ice being deformed on a local scale would be high in frequency—we'd hear sharp pops and cracks. From ice shell movements on a more planetary scale, I would expect creaks and groans." Europa can be glimpsed in binoculars from the backyard as it circles Jupiter once every 85 hours. But it's just a point of light, looking no different from what Galileo saw when he discovered it. The Europa that scientists study today, however, is more properly considered an ocean world. This is because of two flyby spacecraft (NASA's Voyager 1 and 2) and an orbiter (NASA's Galileo) that spent eight years at Jupiter. Long-distance observations of Europa also have come from the Hubble Space Telescope orbiting Earth, which detected plumes of water vapor erupting from the shell in 2012 and 2016. "At Europa, we're trying to use seismometers to determine where the liquid water lies within the ice shell," team member Rhoden said. "We want to know how active the ice shell is." The answers to these questions are important to the future exploration of this moon and its habitability, she said. "An active shell with pockets of water creates more niches for life and more ways to transport nutrients from the ocean to the surface." Locating these pockets on Europa would allow future lander missions to possibly sample ocean water brought up through the ice shell. Just how active is Europa? "We don't know," Rhoden said. The surface is geologically young, with an approximate age (based on numbers of craters) of 50 to 100 million years. "It may have undergone an epoch of activity early in that period and then shut down." But it's equally possible, she says, that the shell is experiencing fractures, uplifts, offsets, and melt-throughs today. "Hubble's recent plume observations last fall appear to support that." As Europa orbits Jupiter, it gets repeated tugs from the gravity of neighbor moons Io and Ganymede. These tugs keep Europa's orbit from becoming circular and that lets Jupiter stress the shell—and then let it relax—over and over, endlessly. Thus, Rhoden said, seismometers on the surface should detect any ongoing activity in the shell. 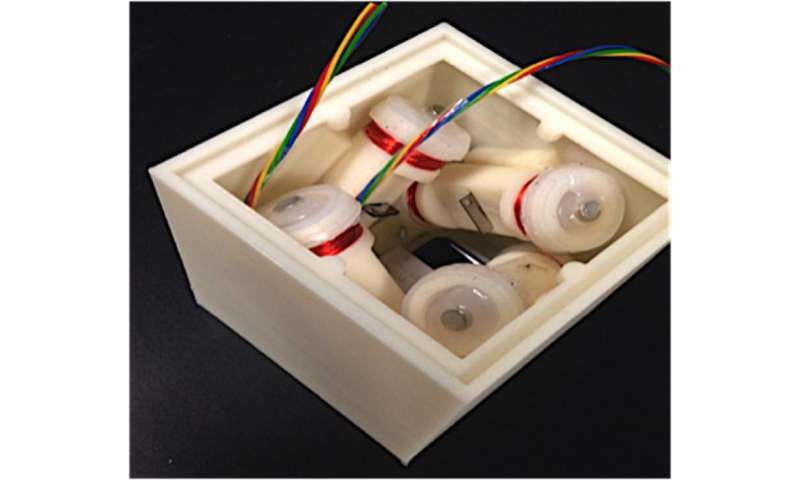 The team developing the SESE seismometer has its sights on Europa, but they are also looking beyond, because the design is robust and adaptable. This could let it become something of a universal instrument for seismology on other worlds. As team leader Yu explains, "With modification to fit local environments, this instrument should work on Venus and Mars, and likely other planets and moons, too."